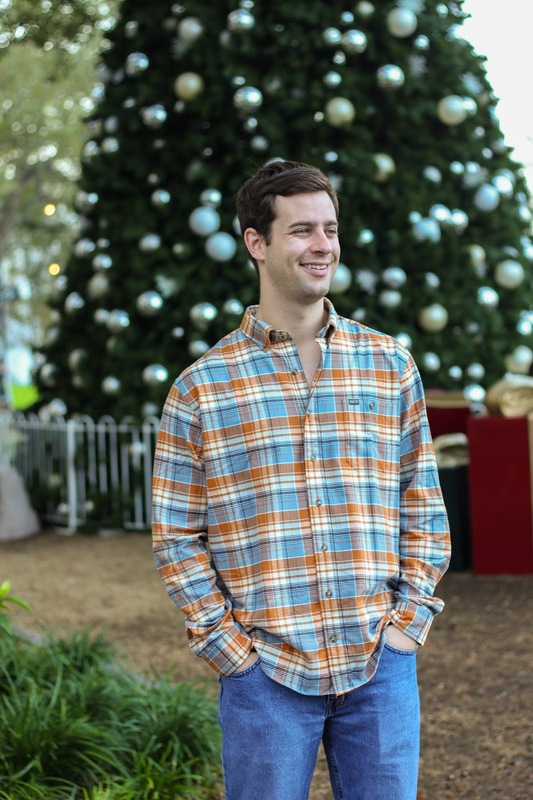 We've been really good this year... Can we just have every item from Southern Shirt Company? Listen up, folks! This is one brand that you DON'T want to miss out on! I have been a Southern Shirt Company fan for years. From t-shirts to outerwear, I could live in their stuff. 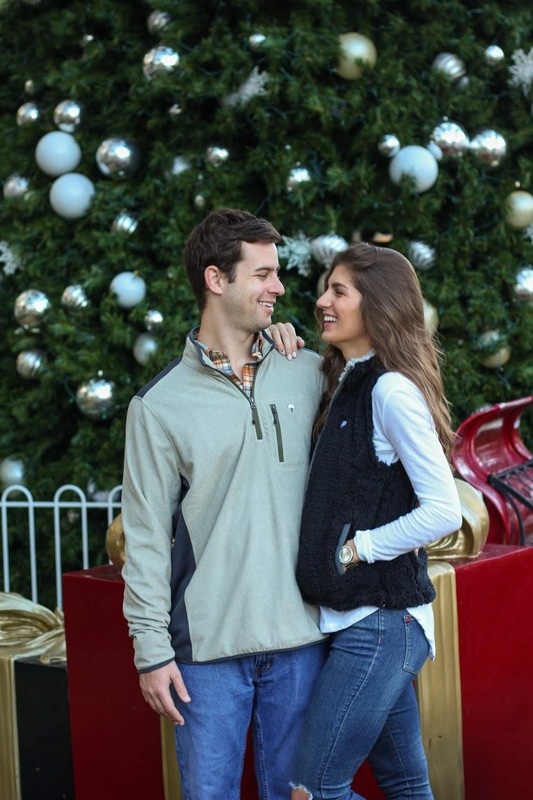 I've been pretty impressed with all of the newest options they've added to their collections over the years - including sherpa jackets and vests, performance flannels and plaid tops. You know I can never turn down a cozy top. I figured it was about time to introduce Lantz to the brand, and I think I have him hooked! 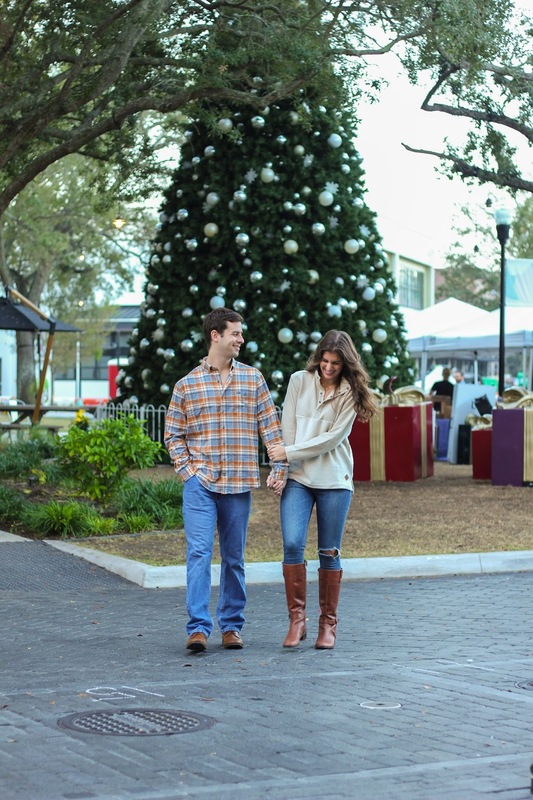 They have some awesome options for guys out right now from performance polos to outerwear. Looking at their selection, I knew that he had to try out this flannel. It's the colors of our alma mater (he loves anything orange and blue) and he loves performance material shirts with our Florida climate. Once Lantz put it on - SOLD. 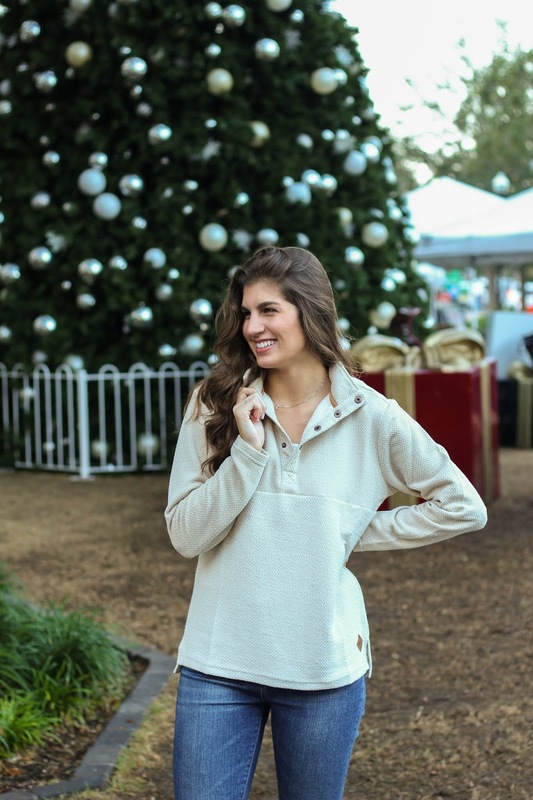 I've been a huge fan of pullovers this year for two reasons: they're super easy for layering when the temps drop or they can be worn by themselves! It's a crazy time of year right now, and I like to know I can reach for my stylish staple pieces (like this button pullover) and be out the door in a pinch. Not to mention, it's SO soft! I'm wearing the Safari color which is a light tan, but it comes in three other colors as well. While I am always cold, Lantz is the opposite - he prefers light layers that he can shed throughout the day as the Florida sun raises the temperature. 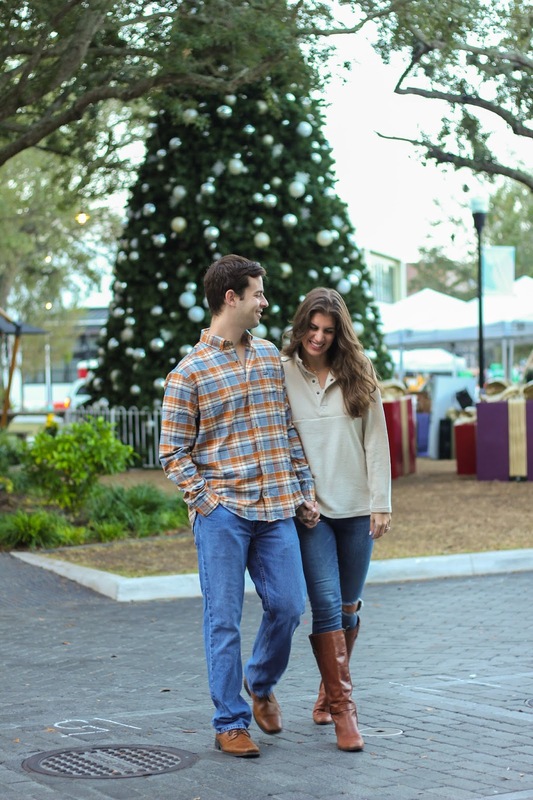 He paired the Plainsman Flannel with the Trailhead Quarter Zip (in shade Rhino) for our day at Hyde Park Village. 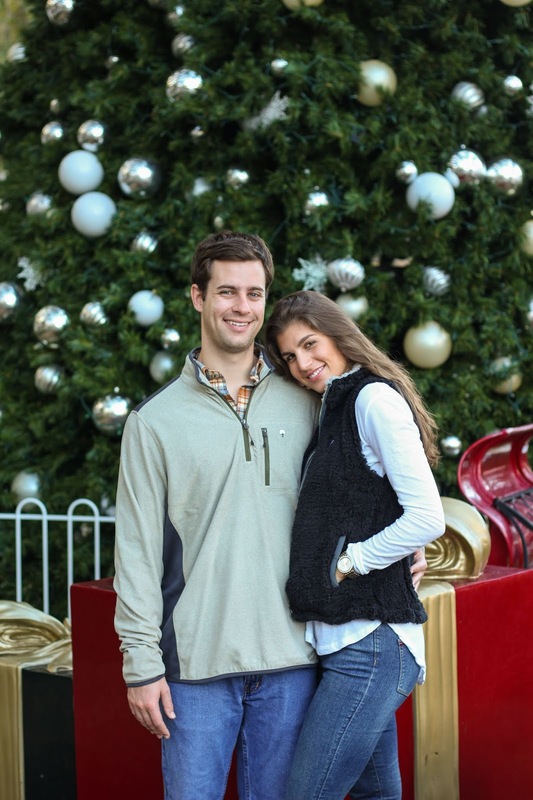 Later that evening we went back to the park for dinner, and I changed into my favorite Sherpa vest from Southern Shirt with a basic layering tee. 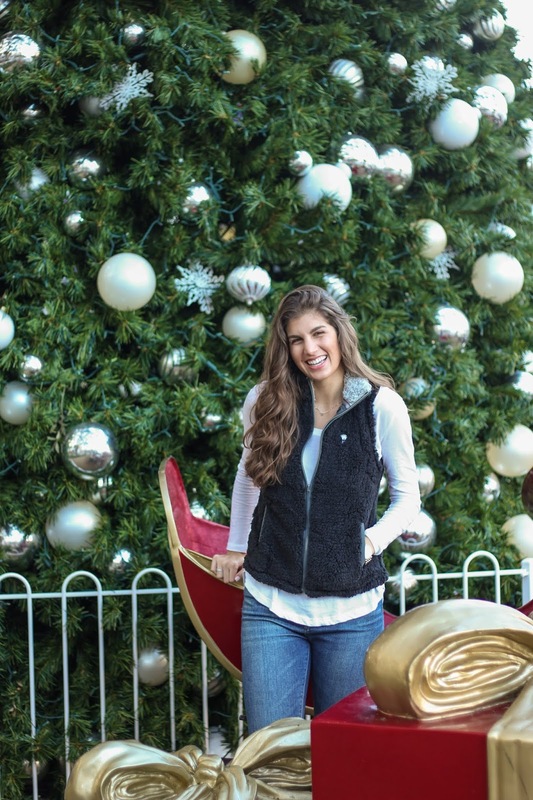 This vest sold out super fast (I'll be sure to share with you guys if it comes back in stock!) but their full jacket version is available in solid and heather color options. You better believe I've got one of those jackets on my Christmas list. If you haven't check out their website before, see everything that Southern Shirt has to offer here. Thanks to Southern Shirt Company for sponsoring this post. All opinions are my own. You look adorable! I so love cozy layers! Love reading your blog!